Does Santa need more than just Rudolph’s red nose to guide his sleigh on Christmas Eve this year? Like, maybe, two fighter jets? A new video released by the North American Aerospace Defense Command (NORAD) to promote its annual tracking of Santa’s trip around the world is drawing fire from some children’s advocates. In the 39-second clip, Santa is shown flying across the globe, tracked by an Air Force radar surveillance plane and, at one point, being escorted by two fighters. 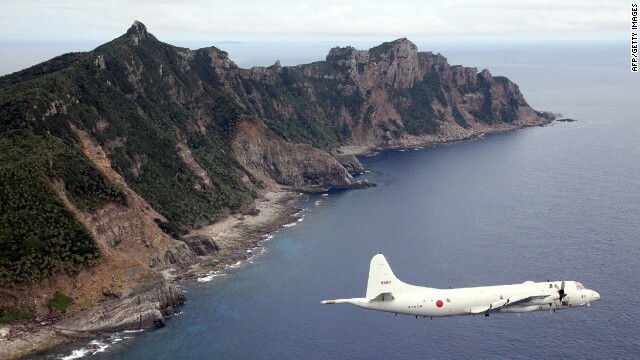 This photo taken on October 13, 2011 shows a P-3C patrol plane of Japanese Maritime Self-Defense Force flying over the disputed islets known as the Senkaku islands in Japan and Diaoyu islands in China, in the East China Sea. China sent fighter jets into its newly claimed air defense zone Thursday, as Japan and South Korea sounded notes of defiance by declaring they would continue to fly through disputed airspace without notifying Beijing. South Korea announced yesterday it had already sent a military flight into China's newly claimed "air defense identification zone" (ADIZ) on Tuesday without alerting China, while Japan appeared to claim it had also flown into the territory since China's announcement Saturday that it was unilaterally establishing the zone. The flights have raised the stakes in a rapidly escalating dispute over contested territory in and above the East China Sea. They follow U.S. flights into the territory earlier in the week, when two unarmed B-52 bombers passed uncontested through the zone, in what the Pentagon described as a pre-planned military exercise. Col. Shen Jinke, spokesman for the People's Liberation Army Air Force, said the Chinese warplanes, including Su-30 and J-11 fighters and an airborne radar early warning system, were flown Thursday into the ADIZ in what he described as a "defensive measure ... in line with international practices." Geneva, Switzerland (CNN) - A historic deal was struck early Sunday between Iran and six world powers over Tehran's nuclear program that slows the country's nuclear development program in exchange for lifting some sanctions while a more formal agreement is worked out. 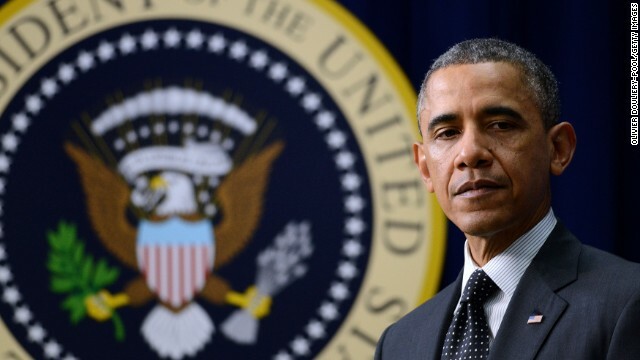 The agreement - described as an "initial, six-month" deal - includes "substantial limitations that will help prevent Iran from creating a nuclear weapon," U.S. President Barack Obama said in a nationally televised address. The deal, which capped days of marathon talks, addresses Iran's ability to enrich uranium, what to do about its existing enriched uranium stockpiles, the number and potential of its centrifuges and Tehran's "ability to produce weapons-grade plutonium using the Arak reactor," according to a statement released by the White House. (CNN) – The Northwestern University football team has come on hard times. After an impressive start to the season it’s in the midst of a five-game losing streak. And this week the school is caught up in a controversy about, of all things, a uniform that some say appears to be splattered in blood. The Wildcats will play Michigan Wolverines at home on November 16, just five days after Veterans Day. The university teamed up with Under Armour and the Wounded Warrior Project to design a special flag-themed set of uniforms for the game. Solar like these may soon help Marines in battle. For years, top Marine commanders have been worried about the amount of weight each of their troops carries. There's the body armor, weapons and ammunition. Those are must-haves. But they also carry lots of water to keep from becoming dehydrated and batteries for their radios, GPS gear and night-vision goggles. Now, the Marine Corps is looking at how to reduce the water and battery weight. At a base in California this month, Marine and Navy researchers are testing a concept called Marine Austere Patrolling System, with a built-in solar panel and a water filtration system. This isn't about the Marine Corps suddenly joining the "green" movement. It's about weight and safety. Marine Corps Commandant Gen. James Amos wearing the dress version of the Male Frame Cover, the hat worn by Marine men since 1922 and maybe soon by women Marines. At ease Marines. The Corps is not going to make men change their hats. A New York Post headline, "Obama wants Marines to wear 'girly' hats," generated a lot of attention this week. But alas, the service says that's not the case. My, how the tables have turned. 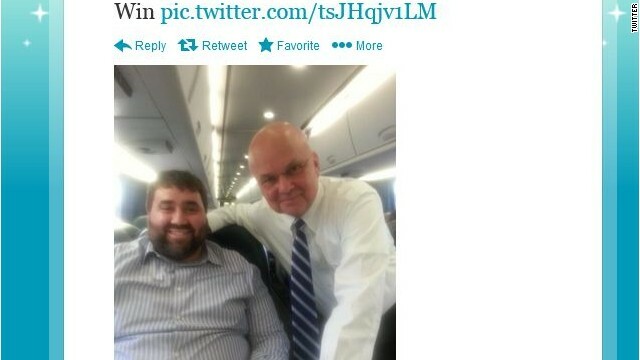 Former National Security Agency director Michael Hayden had a mole of his own on the Acela train Thursday afternoon. Hayden, a CNN.com contributor, told CNN he "had a nice chat with my fellow Pittsburgher" on his way. 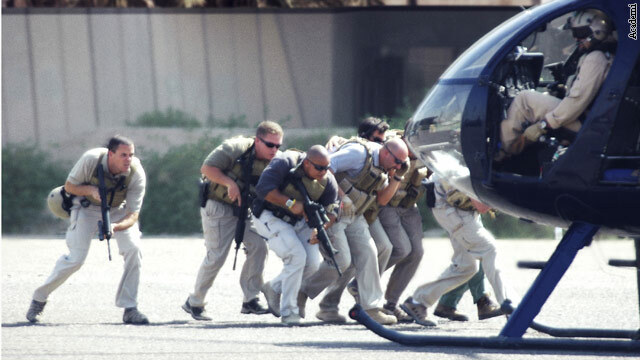 Four former Blackwater private security contractors faced new federal charges on Thursday, the latest chapter in a controversial political and diplomatic case over a deadly 2007 Iraqi War incident. The men were re-indicted by a federal grand jury in Washington on various manslaughter charges related to a shooting that left 17 unarmed Iraqi civilians dead and at least 18 others wounded at Nisur Square in Baghdad. A lapse in benefits normally paid to the families of U.S. service members killed in combat is adding to the already existing anger over the partial federal government shutdown. With a good majority of the Pentagon workforce returning to work despite large-scale furloughs hitting other federal agencies, the benefits typically paid to families of the fallen have yet to be restored during the current government shutdown. "This particular situation is unthinkable," Rep. Renee Ellmers (R-NC), said on the House floor Tuesday. "A great injustice is being done to our service members and their families." Among the benefits being withheld are a $100,000 cash payment typically paid to a service member's family within three days of their death in the combat zone. Burial benefits, which include reimbursement for recovery, care, as well as the funeral and interment of remains are also included in those benefits.